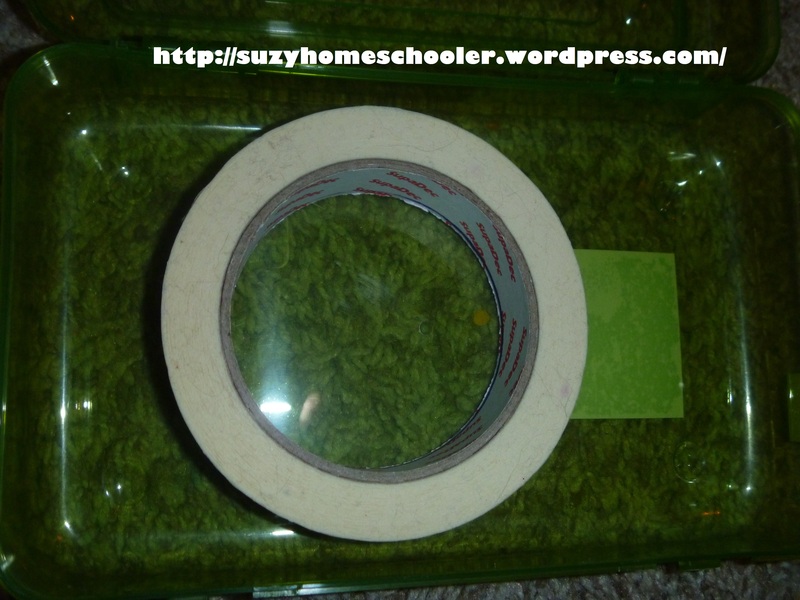 1- A ziploc bag with line drawn down the middle and 5 glass gems inside. I lay an index card at the top (4+1, 3+2, 2+3, 0+5, etc..) and LittleMan manipulates the gems to have the appropriate amount on either side of the line. The answer is always 5 because there are 5 gems in the bag. I got this idea from Leaders in Bloom. 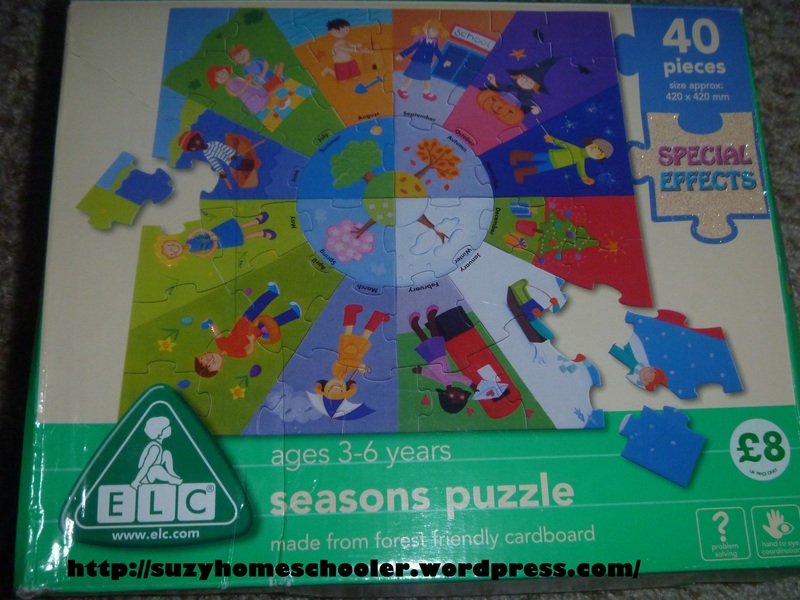 2a- Re-purposed puzzles. I simply take an old puzzle that LittleMan considers too easy and write out things on the back that I want him to know. 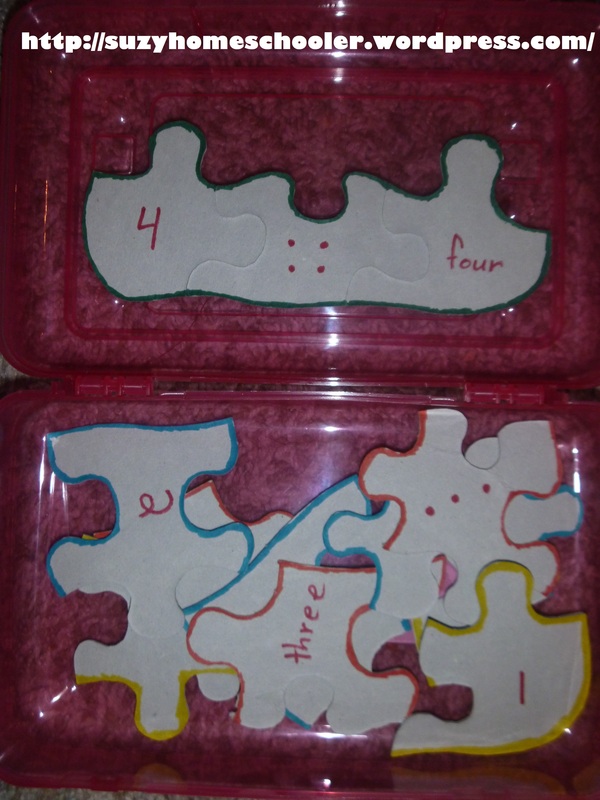 Pictured is an example of a re-purposed puzzle used to teach the different ways of writing a number (4 …. four), however a similar re-purposed puzzle could also be used to match upper and lower case letters, or similar words. 2b- Puzzles. Simple but they are a great conversation starter. 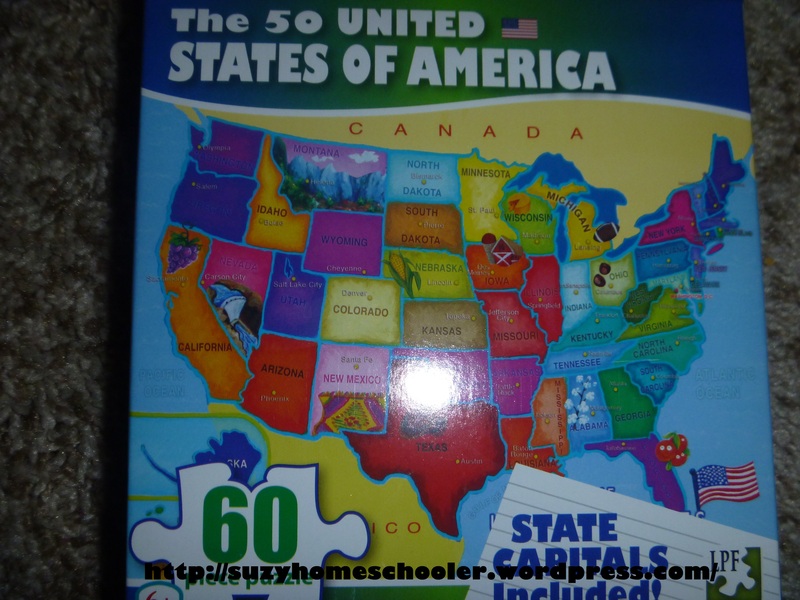 The two pictured are a map of the US and a circle chart showing months and seasons. We also have some which are jungle animals, farm animals, and outter space which I love because they are framed by small pictures and text which we then discuss and it helps strengthen his vocabulary. 3- This one is a classic. I love it because its so easy and there’s a thousand ways you can make one. 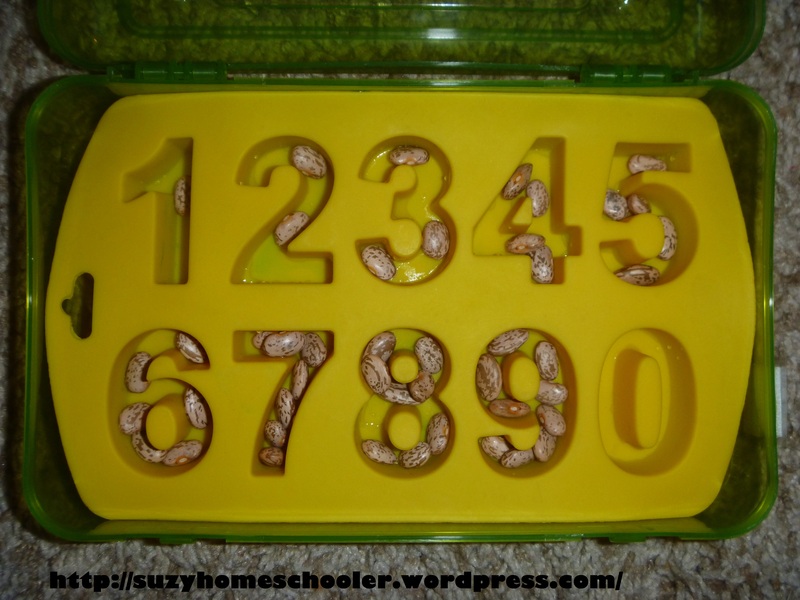 Originally a friend of mine saw an ice cube tray that had numbers written into each segment and the child was supposed to count out the number of toothpicks. She rebuilt that idea and showed it to me. 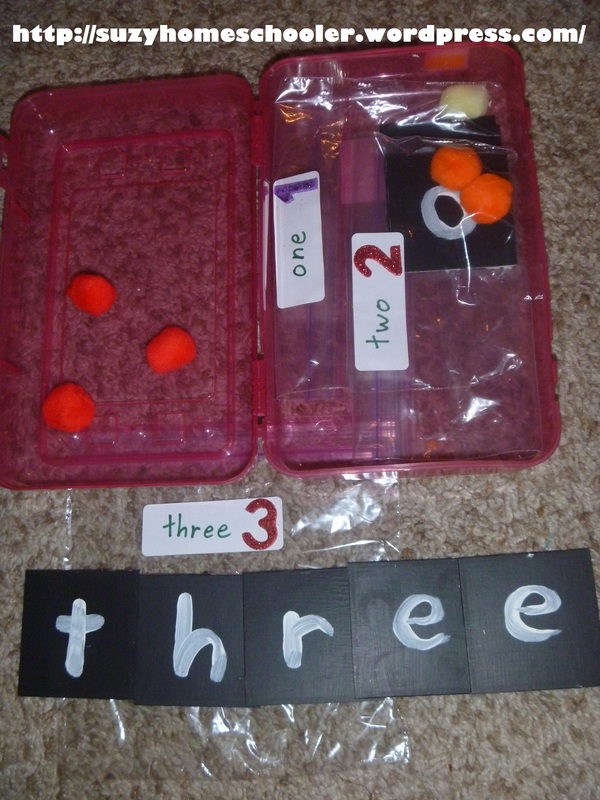 I then made my own using an egg carton with numbers written in the cups and marbles for LittleMan to count. Then I up-graded to this silicone ice-cube tray and pinto beans. This tray was only $2 at Hobby Lobby and I’ve already used it for at least a half dozen projects, this being only one of them. 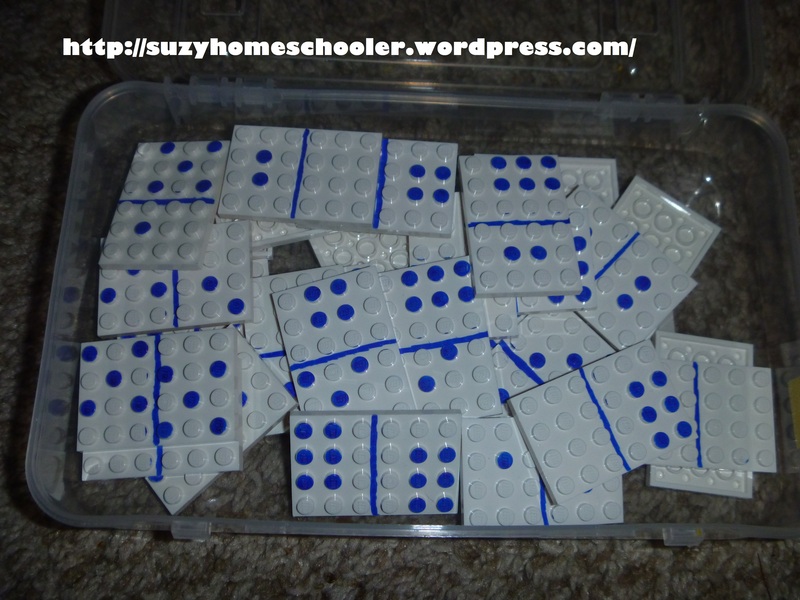 4- A Domino set (ours is homemade using Legos and sharpie marker). There are so many ways to play with Dominoes, from traditional Domino games to matching and math games. 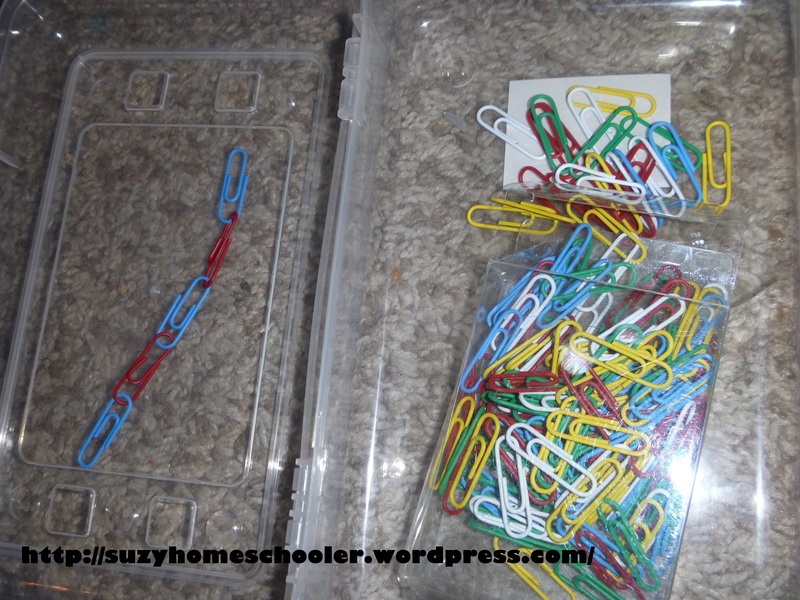 5- Paper clips. I love paper clip chains for fine motor practice. When LittleMan was younger he just sorted them by color, now he’s working on patterning. 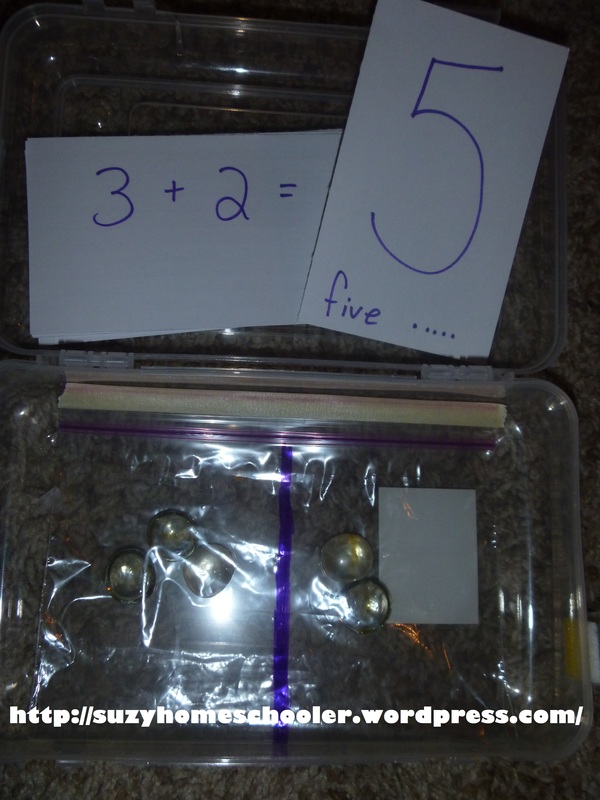 6- Number bags, an awesome idea that I found at Rockabye Butterfly and highly recommend. 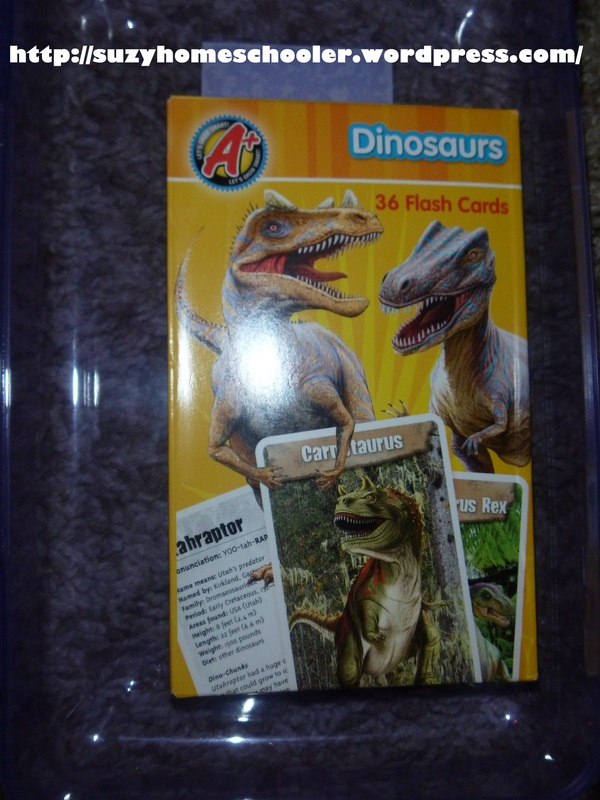 My son *LOVES* these things! Who knows why some activities are just a hit with some kids but in our home, this one was considered a win. I have baggies for numbers 1-10. 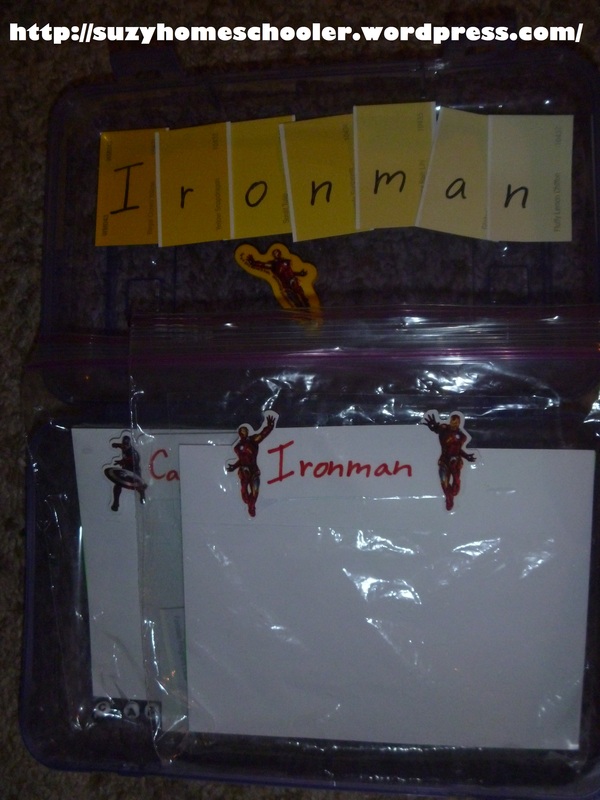 7- Avengers Literacy Bags . I just take a one or two of the bags from the kit I previously wrote about and toss them in a box. 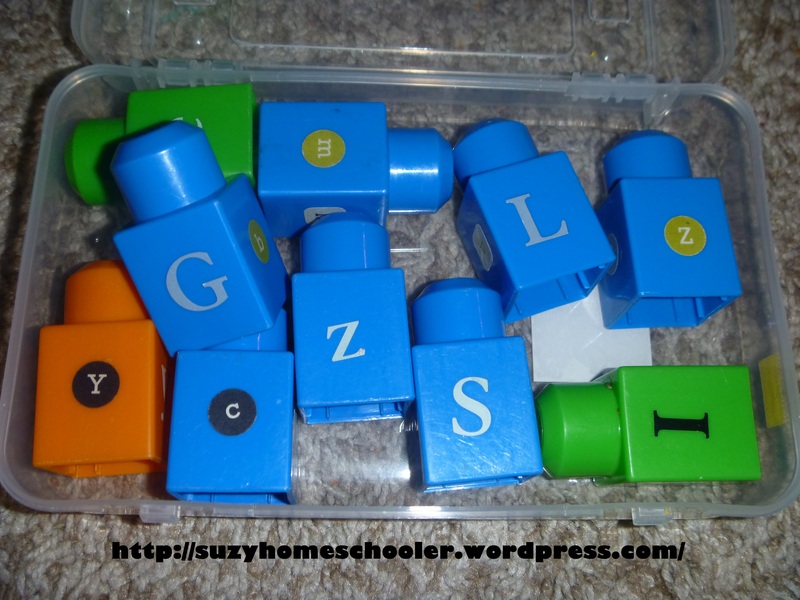 He gets practice matching letters, sounding words out, and we talk about the phonics behind it all. 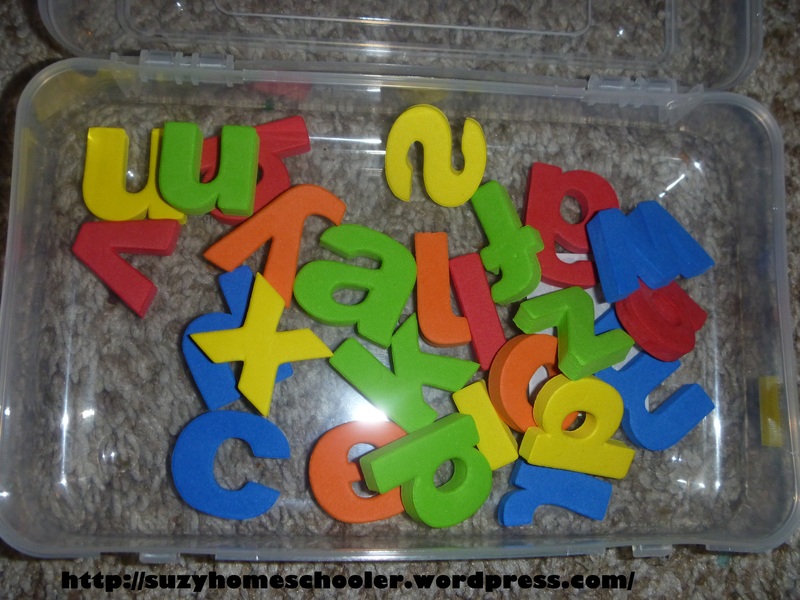 8- Alphabet Hunt. I just take these puzzle pieces and hide them around a room or scatter them in his ball pit and LittleMan gets to get up, run around, get some wiggles out, while still opening the lines of communication in regards to letters and how they are so crucial to the world around him. 9- Sometimes things just don’t fit into a box. Such is life. 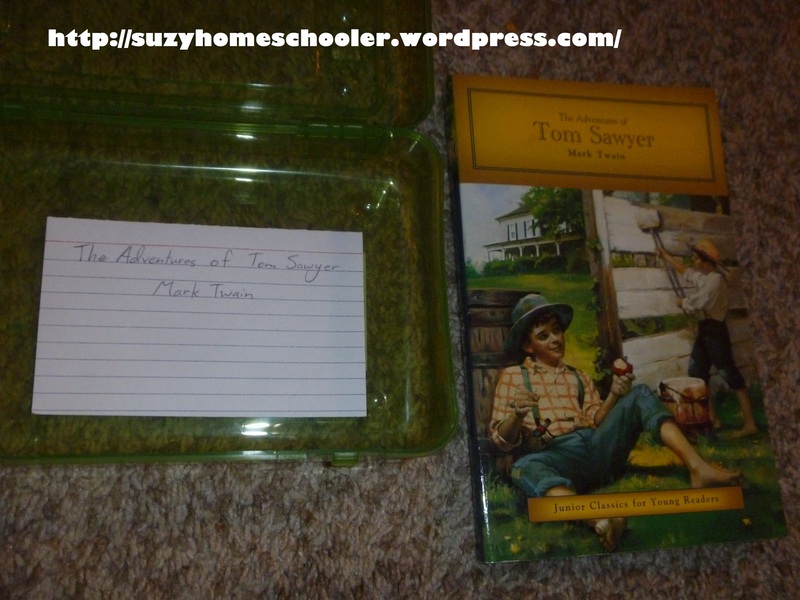 In these cases, I just put a note card in the box that says what to do in that time block. Pictured example: read aloud a few chapters from a classic book and discuss. 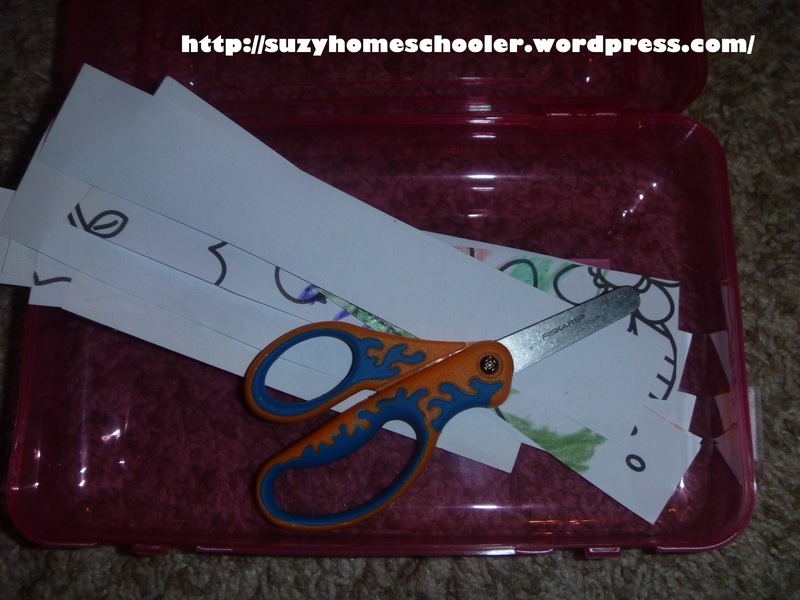 10- Another great way of getting LittleMan interested in reading writing is mail. He loves getting cards in the mail, and he loves “writing” letters and cards to people. 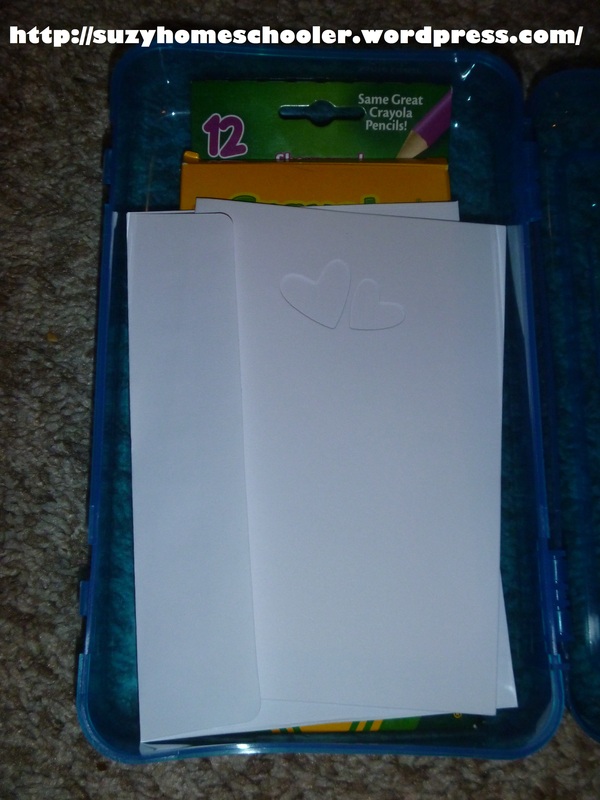 Some blank stationary and colored pencils can be a great invitation to write. 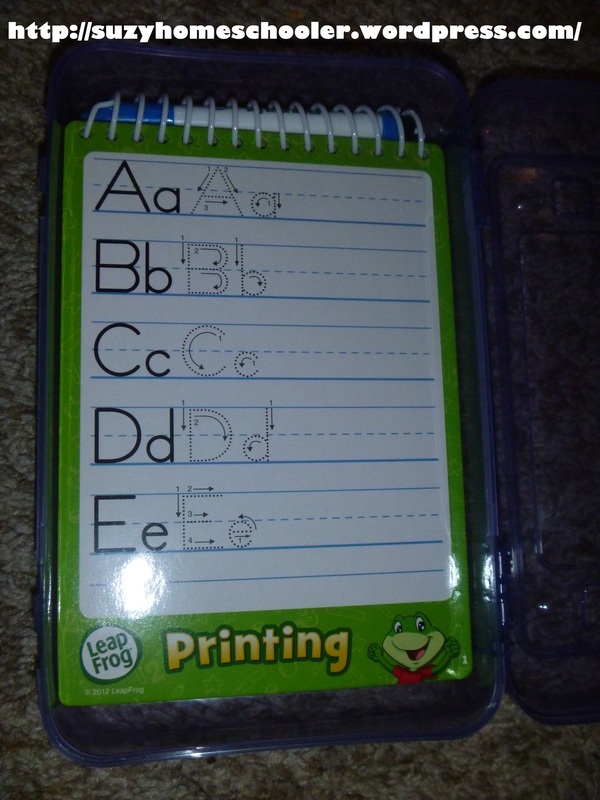 11- A dry erase tracing book. LeapFrog actually has a whole line of these in different subjects. Counting, tracing numbers, addition and subtraction, and [as pictured] tracing letters. They aren’t really “hands on” nor “tactile” but unfortunately not everything can be fun. 12- Word Clips. 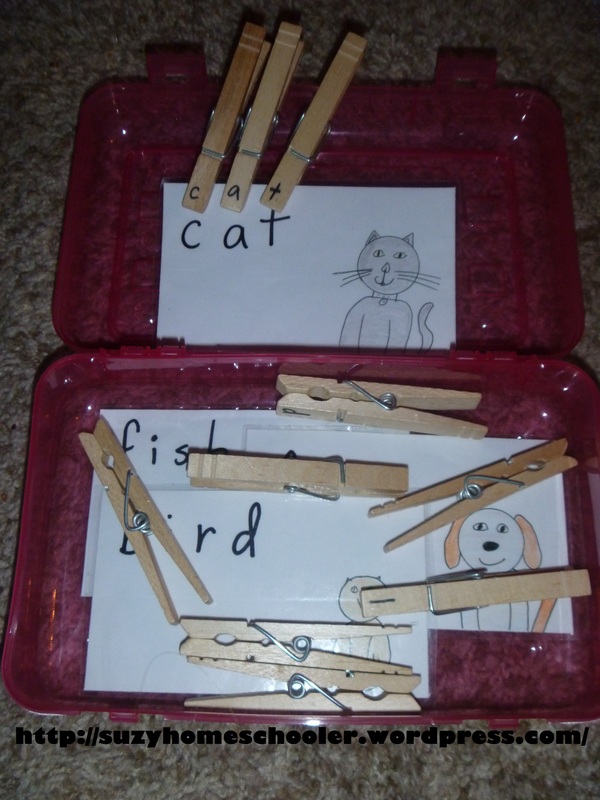 An idea I got from Creating and Teaching – its just a card with a small word and a corresponding picture, then some clothespins with letters written onto them. Match the letters, sound out the words, and connect the meaning via the picture. 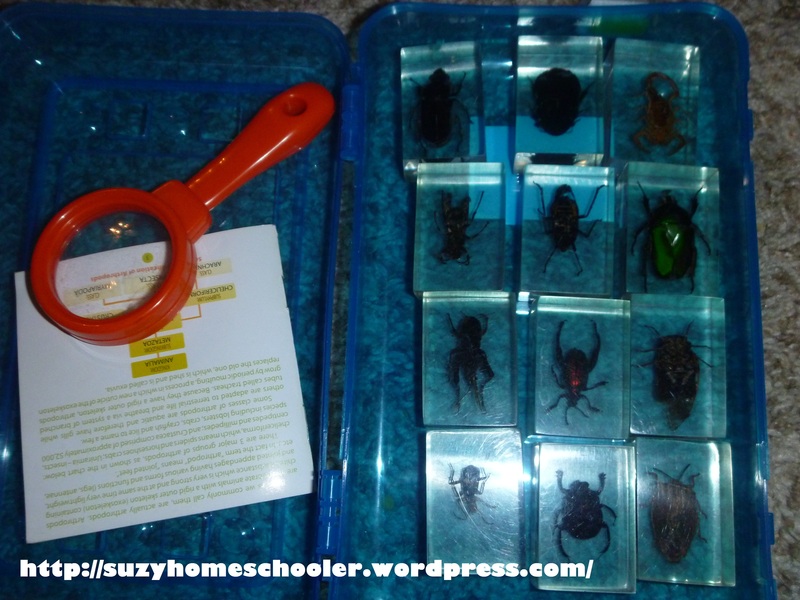 14- Real dead and preserved insects which have spurred on so many wonderful conversations with LittleMan. Everything from the basic counting of their legs and discussing of their anatomy to looking up their diet, habitat, and lifespan online. 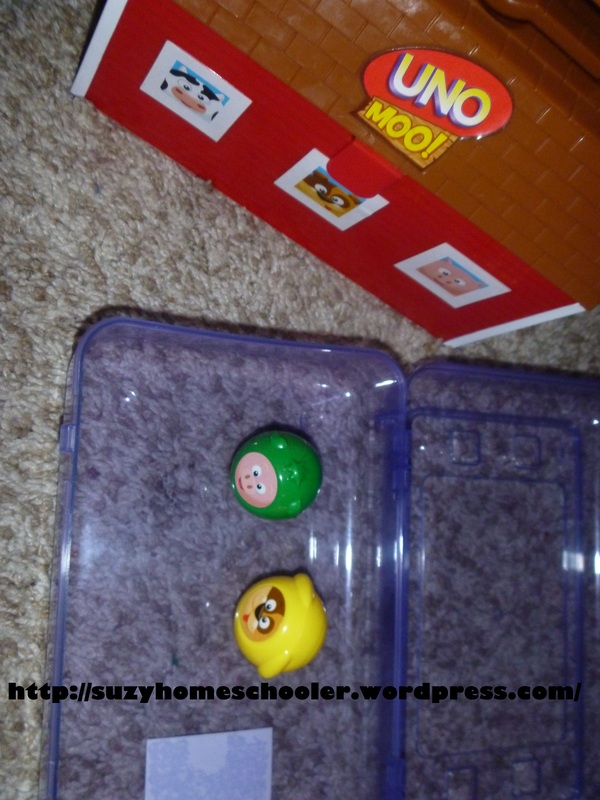 15- Learn to Tell Time Dice, which we use with our wooden toy clock (not pictured). I originally got the idea from this image I found on Pinterest and then made my own. The original was made by painting 6-sided wooden cubes. 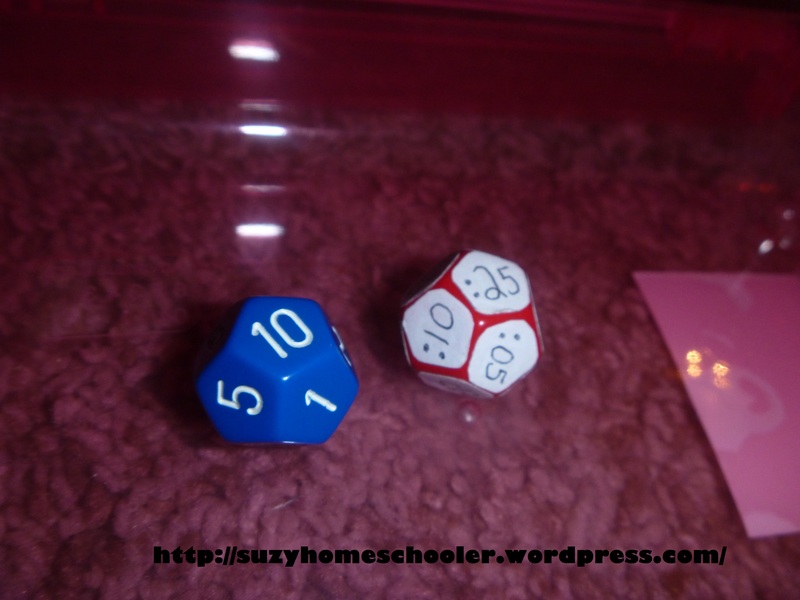 My version uses 12-sided dice. One of them is left as is while the other has small stickers I cut out which read :10, :35, :40, etc..
16- Flash cards. I know what you’re thinking: boring. And if you used them the “recommended” way they would be! We use ours as a conversation starter. 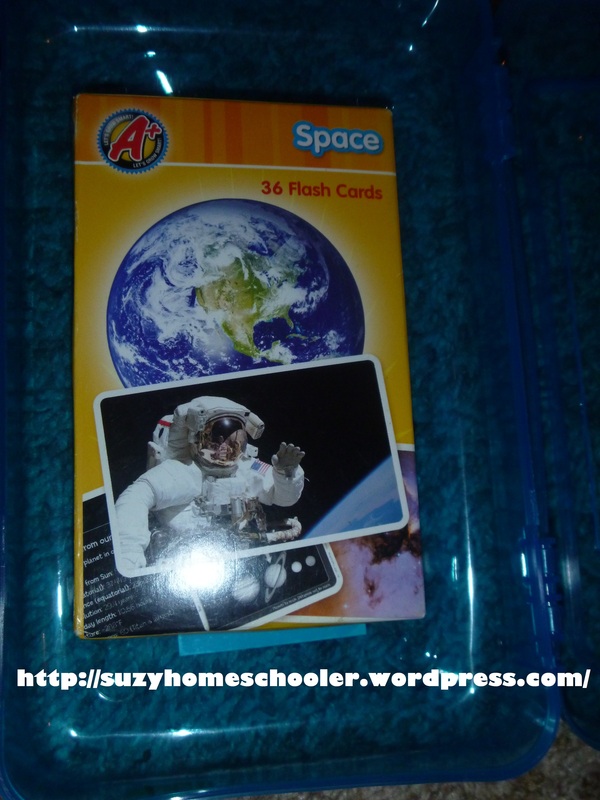 Dinosaur flashcards paired with plastic toy dinosaurs can result in some awesome small world play, discussions about diets and how different species interacted, etc.. Space flashcards paired with a homemade solar system or an astronaut helmet from a cardboard box. 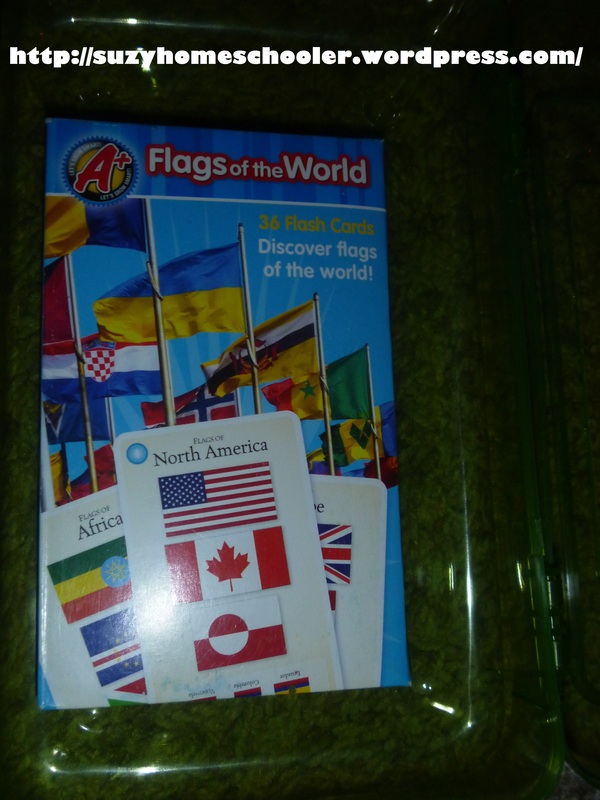 Flags of the world almost always leads to looking up more information about a country we don’t know much about. 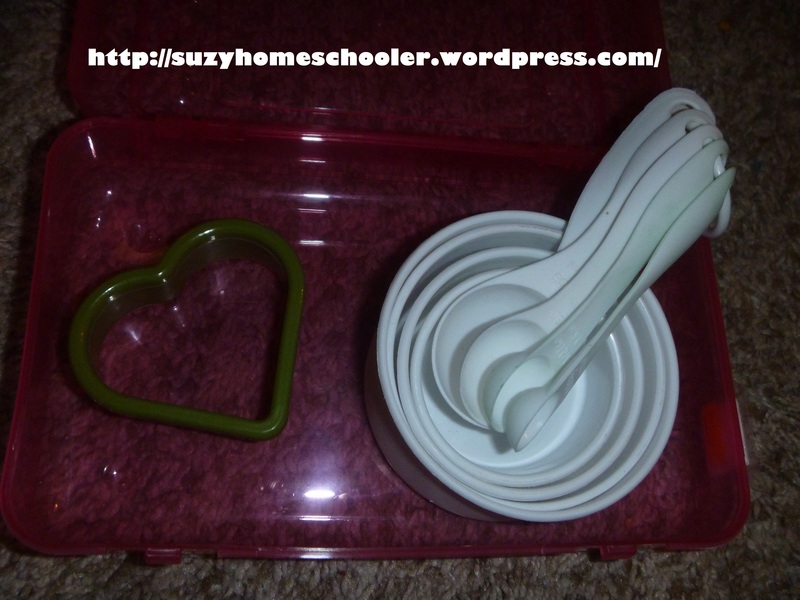 17- Some measuring cups and a cookie cutter: an invitation to bake. Baking with kids is such a great way to reinforce basic math and science concepts. LittleMan’s favorite recipe to make is Nutella cookies: 1 cup nutella, 1 cup flour, 1 egg. Beat until smooth, roll into 1 inch balls, flatten with bottom of glass, then bake at 350F for 8-9 minutes. Perfect easy go-to recipe for a 4 year old. He also loves making rice and french toast. 18- A roll of masking tape holds infinite possibilities. We’ve made shapes out of tape on the floor then hunted around the house for those shapes. We’ve made a hopscotch board out of tape on the floor. We’ve made a four-square board out of tape on the floor. We’ve used tape to make labyrinths and mazes, roads for toy cars. We’ve made a tic tac toe board. We’ve made a target for our bean bags. We’ve put painters tape on the wall to make a soccer goal. Tape is such a simple yet astounding thing to play with, I was shocked to find how many of my ideas had already been thought up by other people! 19- Games. 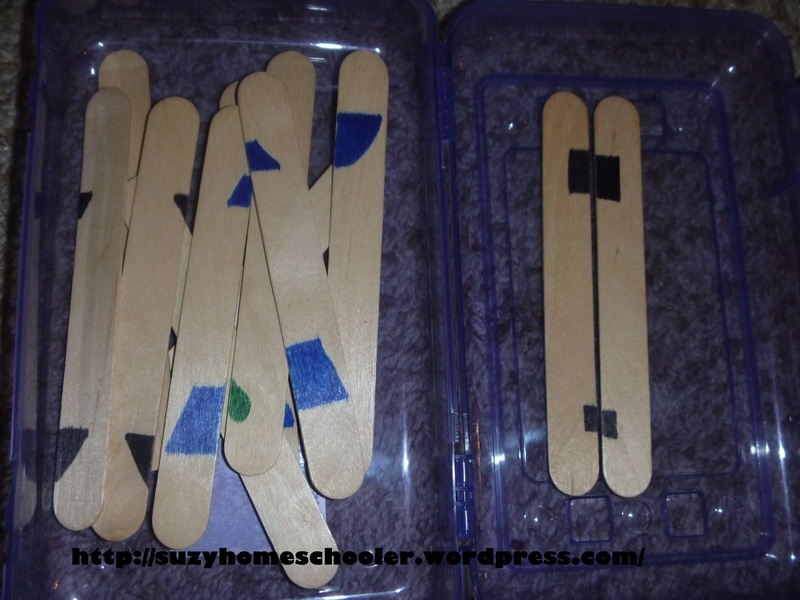 Simple games which flex the mind in regards to math and literacy are so awesome at this age. 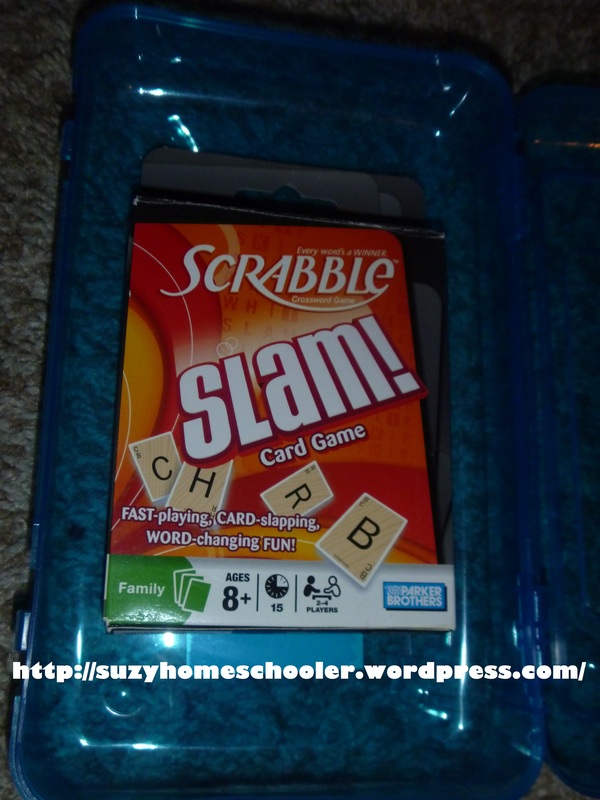 Often times LittleMan will make up his own rules if he isn’t quite ready for the pre-packaged version (such is often the case with Scrabble, but he insists he wants to play). 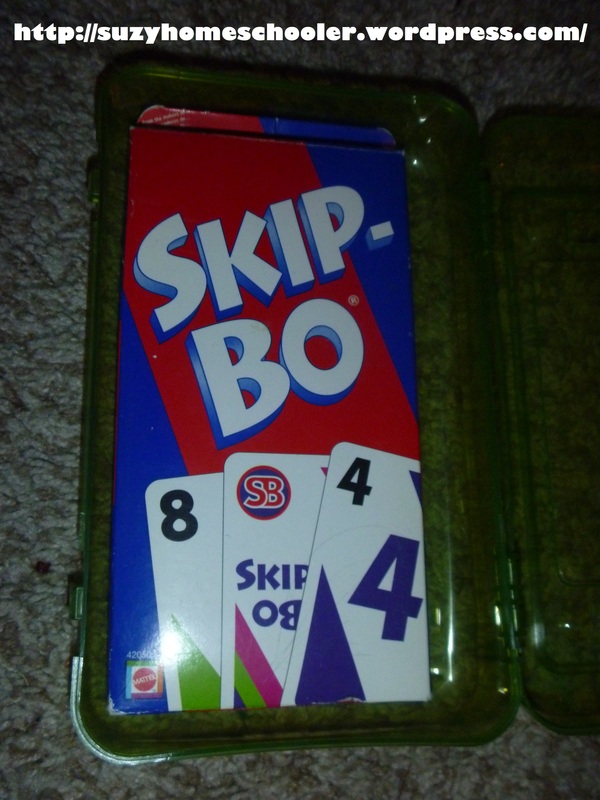 If the game doesn’t fit in the box then I just put a couple pieces of the game into the box. He knows where the game shelf is so he can get the rest of it down to play. 20- Sorting magnetic vs not magnetic. 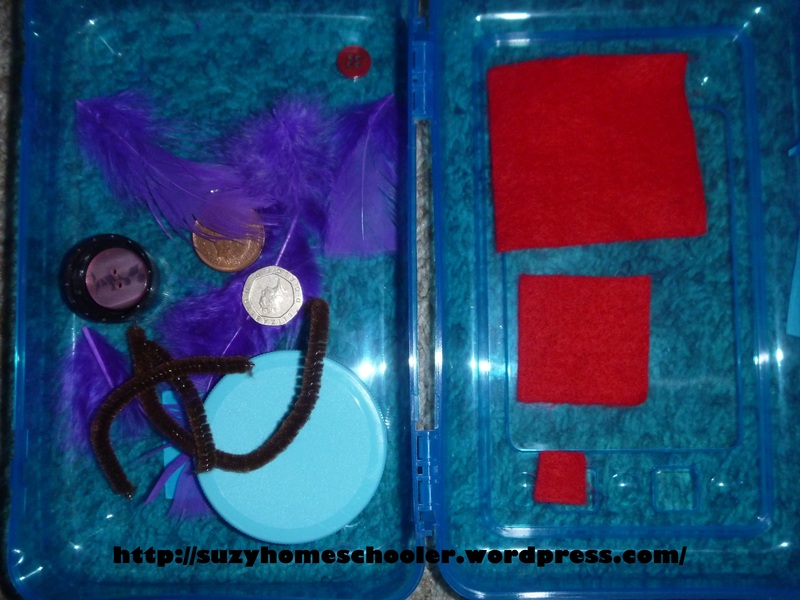 22- Homemade matching and memory games. Ocassionally its nice to throw something in that he has already mastered, these types of easy activities (when offered sparingly) go a long way towards building confidence, especially if he’s struggled with some of the newer lessons that day. 23- Small, medium, and large sorting. 24- A working stethoscope. 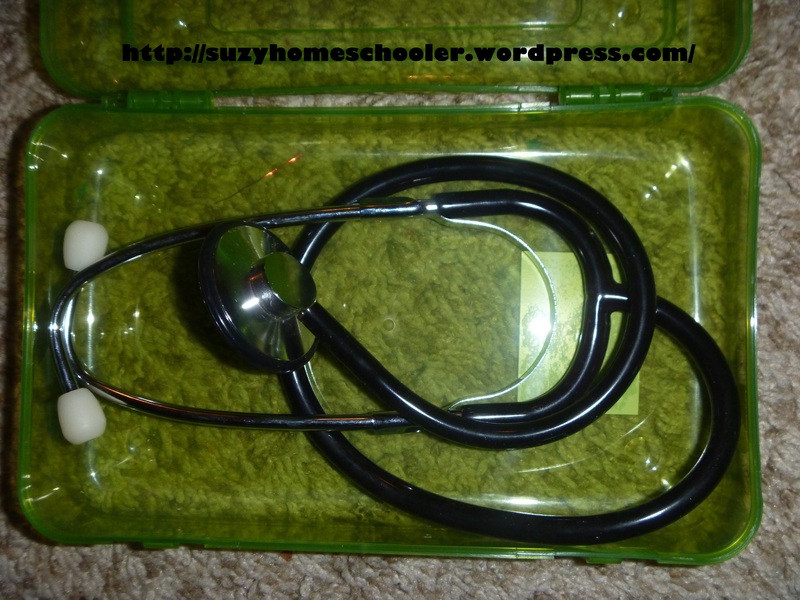 I originally bought this (under $10 on Amazon) so that LittleMan could role play and practice before a doctor’s visit. He was NOT a fan of the doctor. Since then they’ve actually been a great conversation starter for anatomy discussions. LittleMan is fascinated by the idea of whats inside of him. 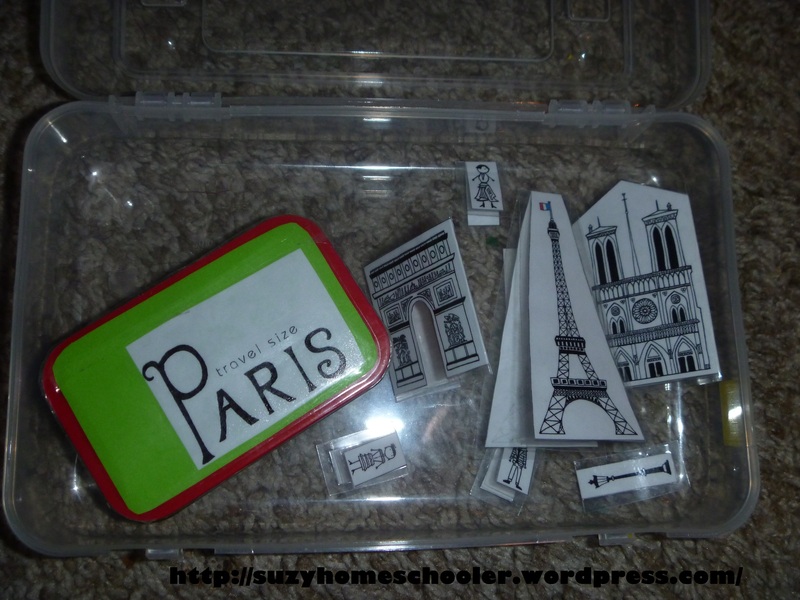 25- Paper City Paris from Made by Joel. Another great discussion prompt. We play with the paper city, we look up pictures online of the real place, and we talk talk talk. LittleMan is constantly impressing me with the questions he has about the places he’s never been. Paris amuses him, but he really loves to talk about Africa. Open-ended discussion prompts like this are always our best lessons, so fun for both of us. Awesome ideas. 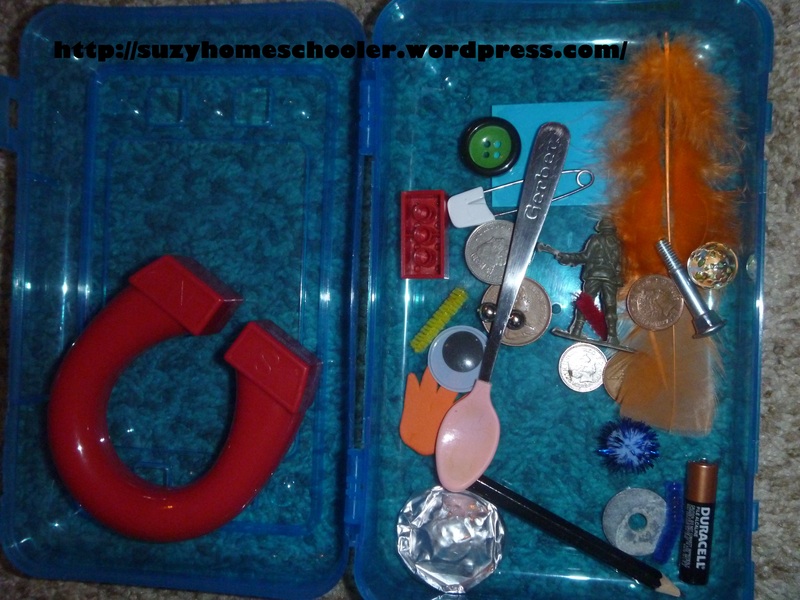 I have been looking for short lessons that keep my son engaged and excited about learning. Thank you so much. Thank you for stopping by, I’m so glad you found some ideas that might be useful to you. I just stumbled across your page and I am inspired 🙂 thank you so much for all the great age appropriate ideas! Thank you for commenting. Its always nice to hear that someone might find something useful to them in my posts!